This post is sponsored by Chocolove. What more is there to say? I could end this post right now and you would already be hungry. 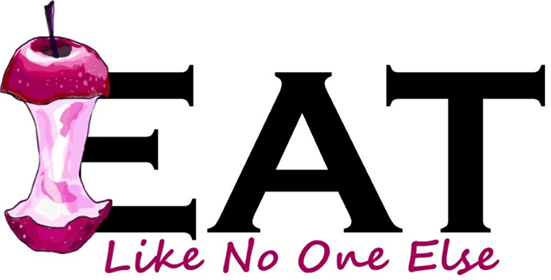 We see it all all over the place, its no wonder we are hungry all the time! Just because it is all over the place doesn’t mean we can’t take some with us. For example, on a road trip. You’re going to want chocolate on a long road trip. In fact, you need it, right? Chocolate is certainly easy to be had. Every gas station is going to have some within an arm’s reach at all times They know what they are doing. You need chocolate and you needed it the minute your eyes came upon it. There is a problem though. That chocolate you are looking at, unless you are at the finest of gas station convenience store is probably not any good. You’ll buy it still. Probably the king sized bar. And you’ll eat the whole thing. And you know, you won’t be satisfied. Why? Because as much as you thought you loved that chocolate it doesn’t love you back. How about a chocolate that will love you? That will never let you down or disappoint you. Chocolove is that chocolate. The one you need for that long trip. Some simple planning ahead and you will be hitting the road snacking on some quality chocolate. 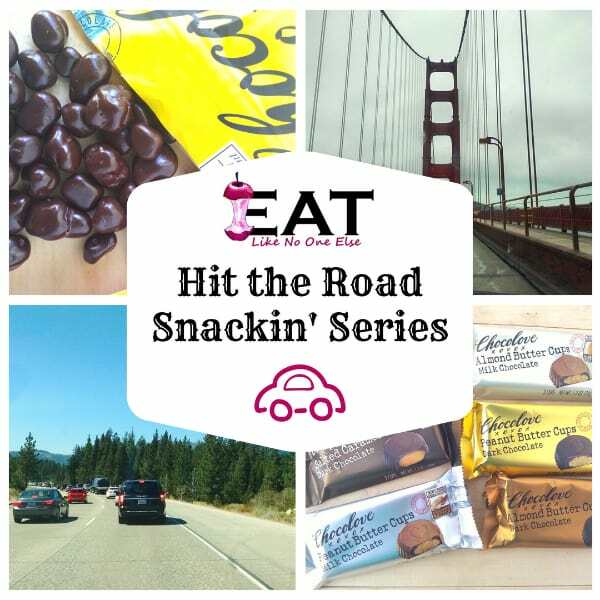 Welcome to our next feature in our Hit the Road Snackin’ Series. 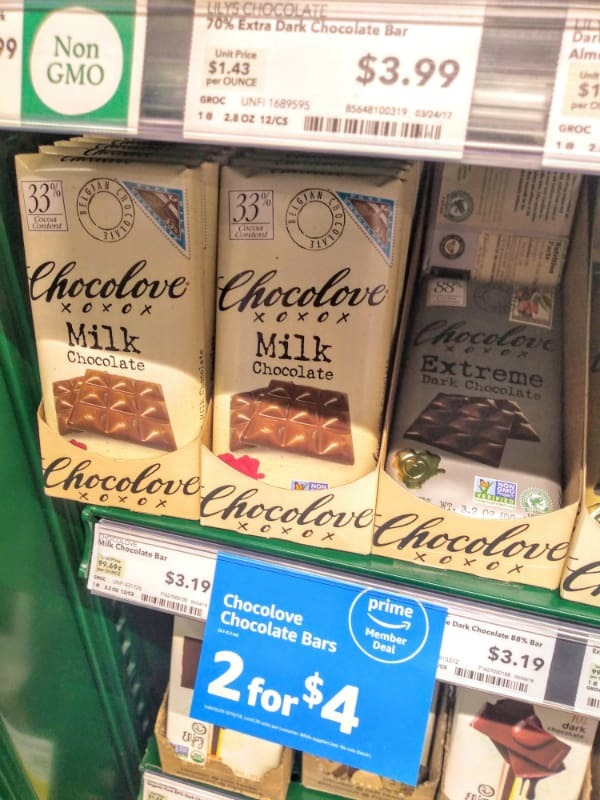 You gotta love this Amazon Prime Member Deal at Whole Foods Market for Chocolove chocolate. 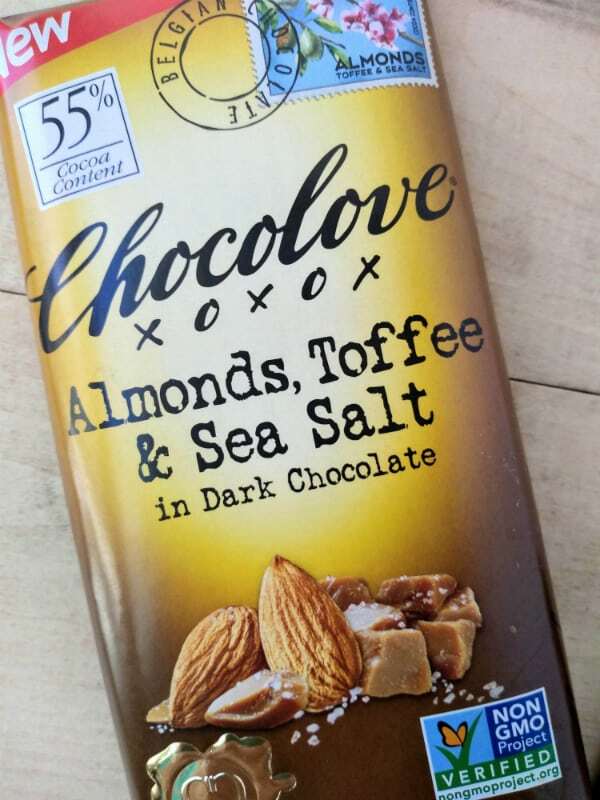 In the cool, dry mountain air of Boulder, Colorado you will find Chocolove producing 41 flavors of chocolate (and counting!). The company was founded by Timothy Moley – man who eats 2 bars of chocolate a day! His story of how he began Chocolove is a love story, between a man and a cocoa bean! Timothy was traveling the world as a part of USAID – a government program that promotes agriculture and tech education across the world. While in Indonesia, Timothy would chew on cocoa beans. Its where the love began and the spark of an idea began. Timothy wanted to own his own business. Upon returning to the states, he realized the lack of premium chocolate available that would appeal to the average customer. Yes there was premium chocolate but it wasn’t very approachable or affordable. He decided to do something about that. Chocolove began. At first they were focused on selling chocolate at natural and organic stores, such as Whole Foods Market. Over time, they have expanded to other types of grocery stores. The love letter theme of the packaging really adds a lot of charm. One of the most charming aspects of Chocolove is their packaging. 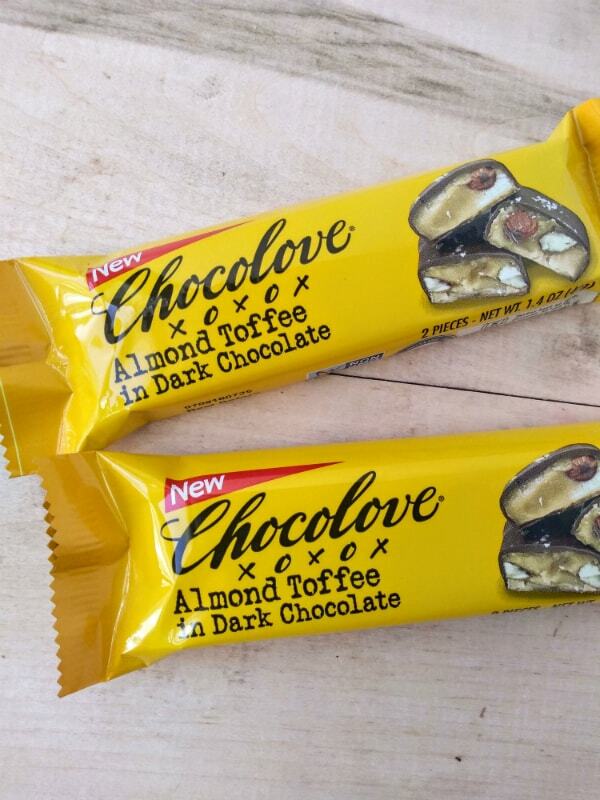 Each bar is meant to resemble a love letter. You have what resembles a postage stamp on the front along with a postmark. The % cocoa content is clearly on the packaging, the first U.S. company to readily give this information on their packages. You also have the XOXO on top and a poem on the inside of the wrapper. It’s a love letter filled with chocolate! Sustainability and social responsibility is something that is very important to Chocolove. They have a section of their website dedicated all about social responsibility. I admire that this is important to them and not just making a buck whatever the cost. Chocolove was super kind enough to send me some chocolate to give a try. Here are my family and my thoughts on these chocolates. For the record I tried to come up with some critiques to say about the chocolate but I failed to find any. If you wish to order any of these chocolate you can do so by visiting their website. This chocolate is perfect for popping in your mouth as you travel down your favorite Interstate. These chocolates would be the perfect thing to take on a road trip. 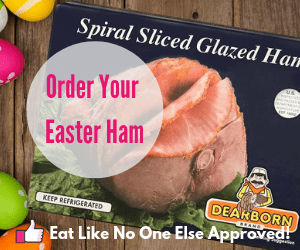 They come in a resealable bag and perfect bite sized pieces. Oh and I didn’t I mention they are absolutely delicious. My wife couldn’t wait to try this chocolate. Chocolate and toffee would have been enough but when you add almonds and sea salt. it’s pretty much perfection. Good chocolate should be snappy. It shouldn’t be soft. Try this chocolate and you will see what I am talking about. The chocolate is rich. Not too bitter or not too sweet. It has a nice salty finish to it which really highlights the flavor of the chocolate. Salt’s role in food is to turn up the volume on the flavor of the food and it certainly does that here. The almonds and toffee are superb as well. Chocolate cups filled with stuff. You can never go wrong. These are some of the finest with flavors like Hazelnut Butter, Almond Butter, Peanut Butter, and Salted Caramel. Yes, you read last one right someone has placed salted caramel inside a cup of chocolate. I am in love! This might be my favorite way to enjoy chocolate. I love cups of chocolate that are filled with stuff. And boy does Chocolove have a great selection. Each cup has that beautiful snap I was talking about earlier. Typically I don’t go for milk chocolate. Maybe its because most candy bars you find by the checkout at the grocery store are made with cheap milk chocolate that isn’t any good. 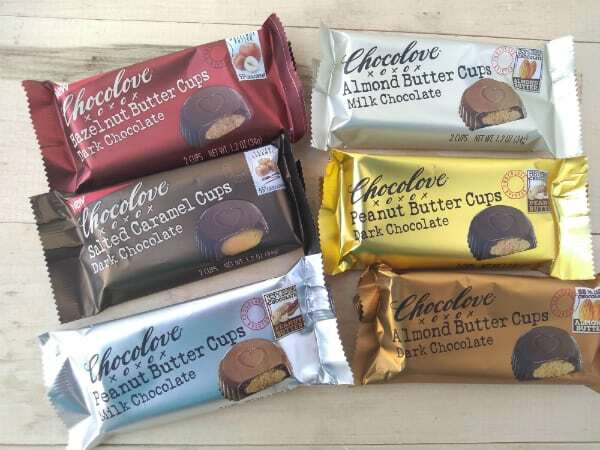 I do prefer the dark chocolate cups, but the milk chocolate cups I got from Chocolove were the perfect showcase of what milk chocolate should be. Let’s start with the peanut butter cups. Break open one of these cups and you will smell the peanut butter across the come. Taking a look at the peanut butter you will immediately notice a difference. Where as most peanut butter cups you get, the peanut butter looks dry, this peanut butter looks like it came straight from the jar. 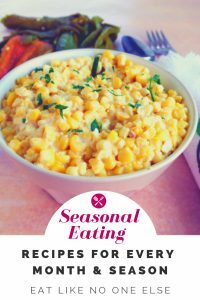 It’s smooth and creamy and not overly sweetened. I offered some to a group of friends and they all were raving about the texture of the peanut butter. The milk chocolate was good and the dark chocolate was phenomenal. My wife commented she would rather be given one pack of these peanut butter comes than 100 packs of the name brand you are all thinking of. Onto to the other flavors. If I was going to use the word epic ever on my blog it would be for the Salted Caramel Cups. 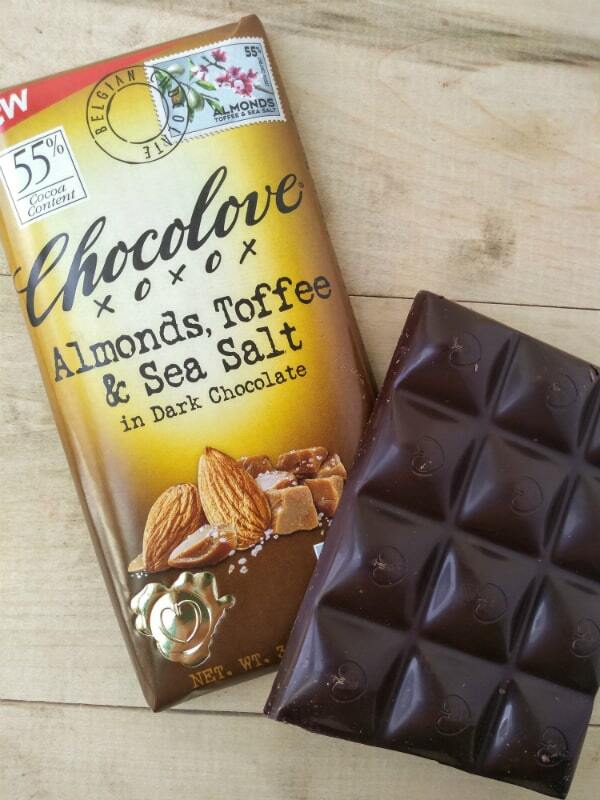 Oh my goodness, best of the chocolate I tried from Chocolove. When I saw them on the website my expectations were high and I was not disappointed. The caramel inside was smooth, buttery, with a good balance of salt. My wife got a crunch of salt in her bite and loved that so much. The Hazelnut cups were just as good. A strong hazelnut flavor. There were a close 2nd for me. Let me not forget the almond butter cups, those had it going on as well. None of the nut butter were cloyingly sweet. After trying all these cups, my 10-year daughter said she has never tasted chocolate like this. I probably ruined all that chocolate she will get on Halloween now! This my wife’s favorite. She loved the toffee inside. Very different from the other chocolate we tried as the filling inside was more the prominent flavor than the chocolate. Some might think traveling with chocolate in the summer is foolish. It melts so easily whenever you have to leave your car and the A/C is off. That is why we always keep our chocolate in the cooler. We never travel the highways without a cooler. It’s a must. 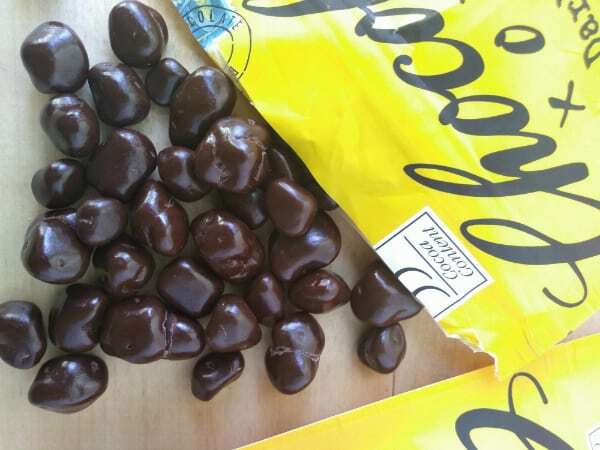 This chocolate is a great choice for traveling as it comes in an easy to re-seal bag. You can put them in your cooler to keep the chocolate from melting. If you are going to put chocolate in a cooler with ice, it is very important that your chocolate is sealed up so that it doesn’t get wet. 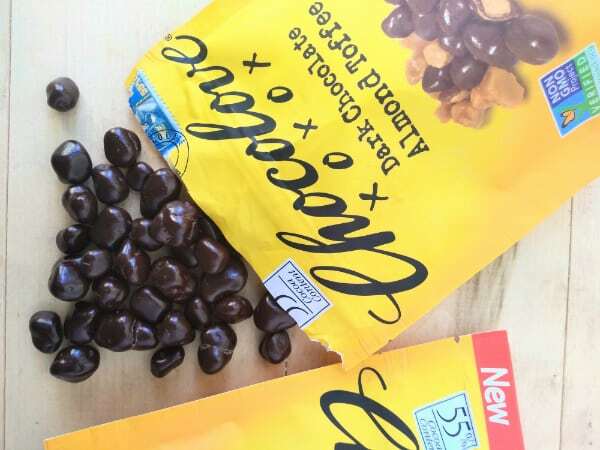 The Dark Chocolate Almond Toffee that comes in a resealable bag would be an easy option. I would recommend having quart or gallon sized plastic bags on hand for bars of chocolate. The bags must have a good seal on them (don’t buy the cheap ones). We always try to have these kind of bags on hand on a trip because you never know when you are going to need them. We always find a use for them. You could also store chocolate in a small insulated lunch bag with a cold pack or ice inside. We have done all these things in the past and have never had to worry about wet chocolate. I love red rocks. They are just so cool and so different than anything I see here in Michigan. 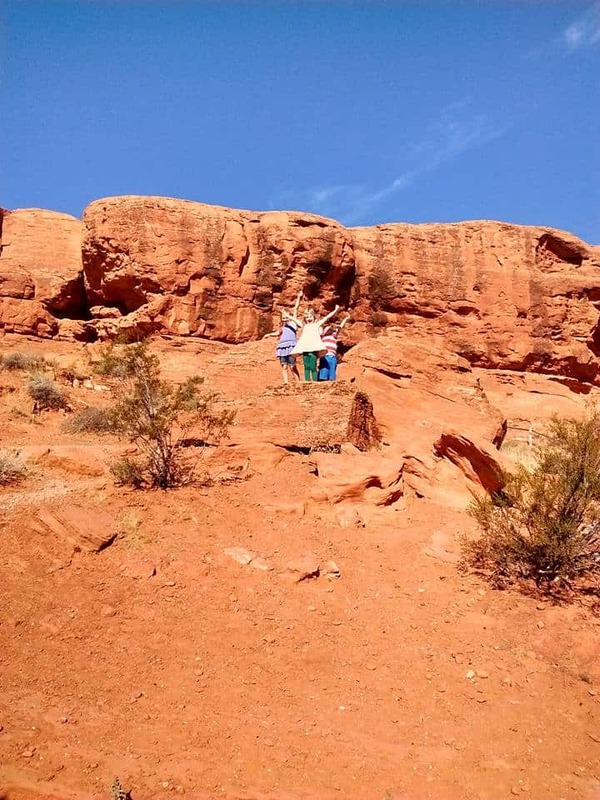 This picture was taken in St. George, Utah. A beautiful town with plenty of sites like these. My wife and kids stay here for a while, and I ran to a nearby grocery store to pick up supplies for lunch, so we can eat here and enjoy the beauty of Southern Utah. It’s truly a one of a kind place.